Weighty Matters: Guest Post: Will the Academy of Nutrition and Dietetics Stand up for its Members? 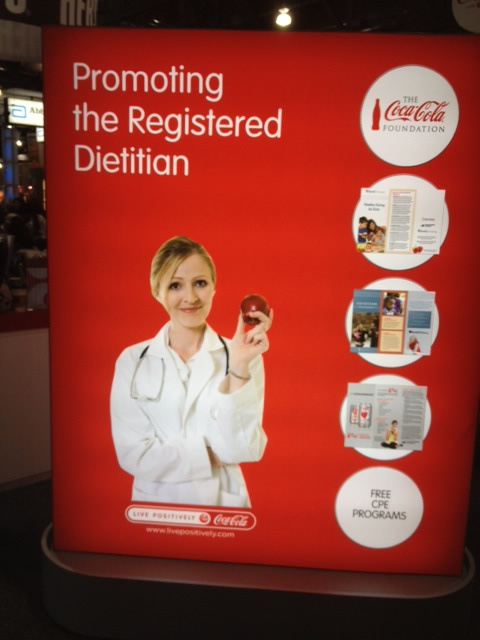 Guest Post: Will the Academy of Nutrition and Dietetics Stand up for its Members? Today's guest posting comes from my friend Andy Bellatti, MS, RD. Andy is a Las Vegas-based registered dietitian with a plant-centric and whole-food focus. His work has been published in Grist, The Huffington Post, Today’s Dietitian, Food Safety News, and Civil Eats, among others. He is as passionate about healthful eating as he is about food politics, deceptive Big Food marketing, and issues of sustainability, animal welfare, and social justice in our food system. He is the creator of the Small Bites blog (which, though now closed, spans five years and 2,000 posts). You can also follow Andy on Twitter and Facebook. Michele Simon’s hard-hitting report on the Academy of Nutrition and Dietetics’ corporate sponsorship was released last month. National media coverage (see articles in The New York Times, Civil Eats, Grist, and AlterNet) and online buzz soon followed. Many registered dietitians on social media expressed their support of Simon’s report, as well as their ongoing disappointment with the Academy’s troublesome corporate partnerships. Perhaps more importantly, some RDs stated they were unaware of the insidious implications of such partnerships (many are now considering not renewing their memberships). As the roar of RDs saying their own organization is diminishing their credential grew louder each day, support for the Academy was minimal; the only evidence of support came by way of an #IStandWithAND Twitter hashtag that consisted mainly of a handful of Academy spokespeople and gained little traction. Many dietitians who have previously spoken out in favor of the Academy were conspicuously absent from the conversation. The Academy of Nutrition and Dietetics crafted its own response in the form of a letter to RDs that read more like a media statement (and only appeared on the AND website, as opposed to actually being sent to members), penned by president Ethan Bergman and titled “Facts, Opinion and Speculation: Know the Difference as We Inform the Public”. Bergman’s tone-deafness came through loud and clear when he stated, “for the record, I support the Academy’s sponsorship program, as does the Board of Directors and our members.” It is galling – and inaccurate – for Bergman to say all member RDs support the program, when many have expressed their dissent with the organization’s corporate ties for years. The letter is peppered with vague accusations (such as “factual inaccuracies” in Simon’s report, which are not identified), irrelevant tangents (a reminder to Academy Spokespeople about the importance of disseminating accurate information to the public), and feeble critiques (such as how many of Simon’s references are to the Academy’s own website ). In short, Mr. Bergman’s response completely avoids any of the issues raised in Michele Simon’s report and, even worse, makes the categorically false claim that all RDs are in favor of the current sponsorship program. What about an independent survey of registered dietitians showing that more than half do not support AND’s ties to Mars and Coca-Cola? Bergman makes no mention of it, instead citing another survey the Academy conducted that concluded dietitians are apparently A-OK being sponsored by Big Food. This report has clearly been a public relations blemish on the Academy’s reputation – one they would be happy to sweep under the rug. It seems that Simon’s report is already having repercussions. Several RDs are forming a coalition to continue raising these concerns publicly, sharing the statements of current and former Academy members who feel misrepresented by their organization’s corporate ties. Although some groups of RDs within the Academy have been addressing this issue for years and gaining ground, additional outside public pressure is needed to wake the Academy up from its Coca-Cola sponsored slumber. Please join me for a Twitter chat on this issue this Wednesday (tomorrow) at 9 PM Eastern/6 PM Pacific. Whether you are a dietitian or not, please add your voice to those who demand professional integrity from the Academy of Nutrition and Dietetics.